After my last trip to the Long Load Canal and my trip back to Wales I decided my next trip was going to be another new venue. The tides were not working in my favour, not was the weather so instead of braving a beach I opted for a safer option of a lake. 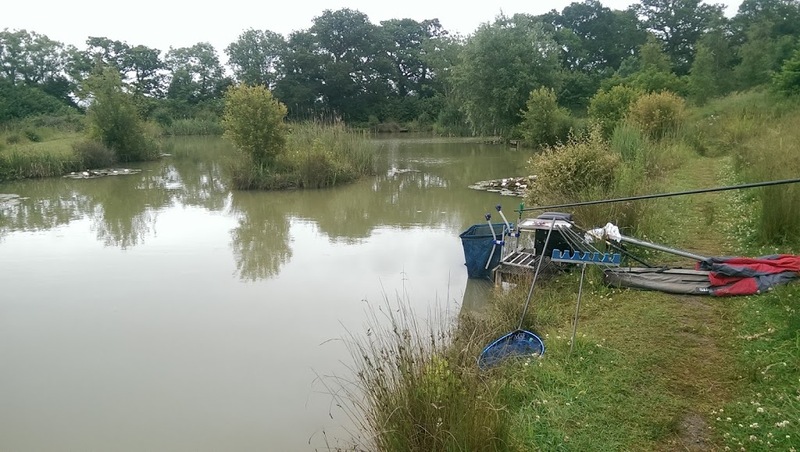 Or rather a selection of 3 small lakes knows as Higher Farm Fishery, not far from Wincanton. I would say apart from find the 2 Higher lakes in which you have to drive down the side of a field, one of the hardest parts of this trip was the junction off the A303. Which appeared very quickly, with no slip road and very little signage. Anyway, after I finally found the lakes I parked up and after a quick walk discovered that a local match was being held on the lower of the 2 lakes. It really nice to see actually as all the people fishing the pond were regulars at the pub who apparently “did this sort of thing once or twice a year”. It meant however I had to heave my gear up what was a rather steep and very slidey pathway to get to the top lake where I had decided to fish. There was one other angler who was also part of the match fishing on the top lake, so I decided to fish opposite him, positioning myself with the island between us. The other angler wasn’t fishing to the island, but just out in front of him. I could see a lot of fish moving, particularly near the margins of the island. Luckily this was around 11 meters away although I was sceptical of the 6 feet depth as I could the bottom being churned up as I set up. The lakes was supposed to contain a good head of mixed coarse fish, but it was clear to see the owner had ploughed a lot of carp into this lake. For bait I tried to cover most options and aside from paste I had with me Pellets (from 4mm – 10mm), Corn, Meat and half a pint of red wrigglers. I potted in 2 good lumps of soaked pellets a the island before plumbing up in open water, I was surprised to find it about 6 feet deep immediately followed by 4 feet then 6 feet. It was a bit of an undulating bottom to say the least… I set the float to dead depth (6ft) and shipped out on double reds to get the inevitable out of the way. I was really surprised to see the float sit absolutely stationary and several carp just lazily swim by it. The bulk shotting pattern I was using had dragged the bait to the depths before anything could intercept it! I shallowed up and after a bit of jigging around I persuaded a small roach to take my hooked offering. “Enough of that!” I swapped top kits and went straight out to the island where my soaked pellet were being hoovered up! The depth at the base of the island was barely 2 feet, and within seconds my 8mm pellet had been gobbled up by one of the lakes resident Carp. Most of these fish have never been caught and the initial run was a surge to the lilies towards the right of the island. Oddly when I fished closer to the lilies although the bites were more aggressive the fish were actually smaller. 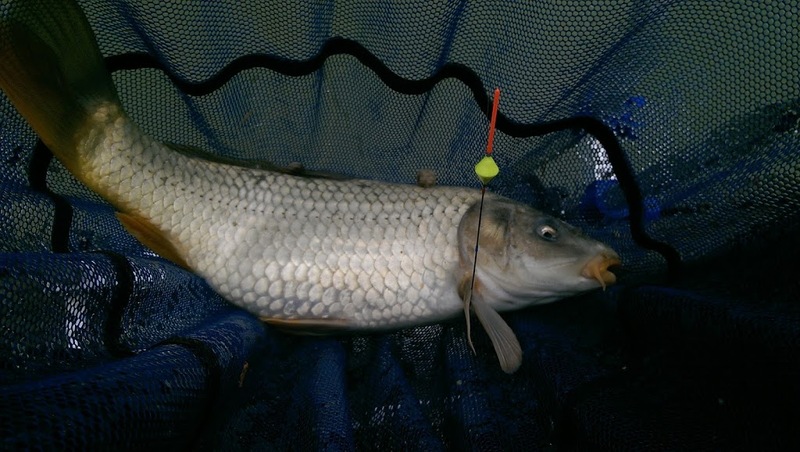 So after a few fish around the 3/4lb – 1lb mark I went back out to the island. 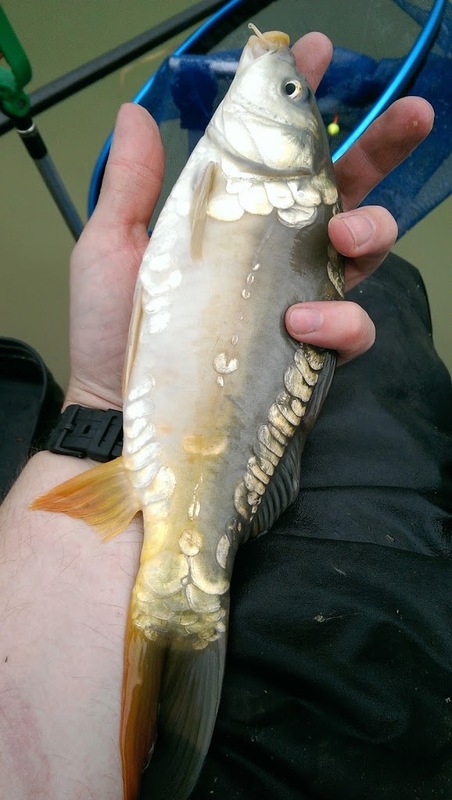 These fish were hungry and within seconds of putting bait into the water there would be swirls and the occasional tail that broke the surface. From that point the action was absolutely nonstop. I was particularly pleased that it was a frantic day as on this very rare occasion I opted to use my keepnet. Something I never normally do, but wanted to try and build a reasonable bag of fish. Using either 6/8/10mm pellets the fish came in thick and fast. Swapping to meat and corn delayed the take by a minute or 2 but still resulted in a fish. 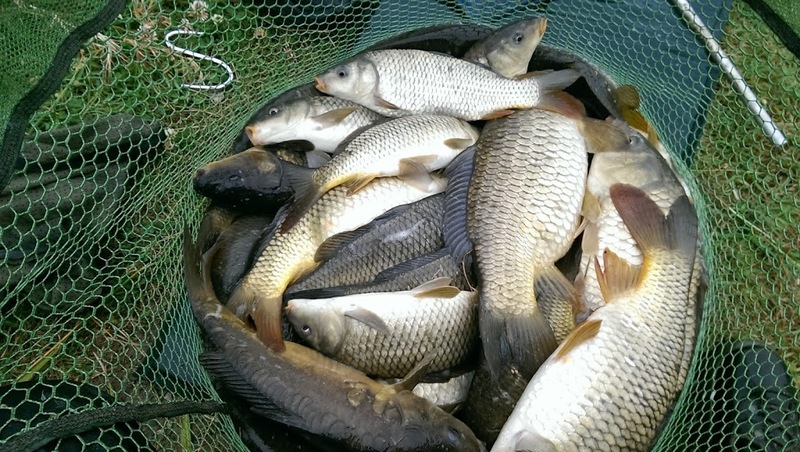 The average stamp of fish here was around 2 – 3 lbs with the occasional 5 or 6lb fish cropping up. The owner of the lake had a quick walk around at mid day and asked how I was getting on. Quite well I said, and was lucky enough to land 3 fish while speaking to him. As I was a Yeovil Member I received a discount to fish which was also very nice and I think I ended up paying £5 (he had run out of change and wanted to charge me £4). I was more than happy to pay £5. I asked quickly about the match and was told to be honest it was all rather quiet on the bottom lake. 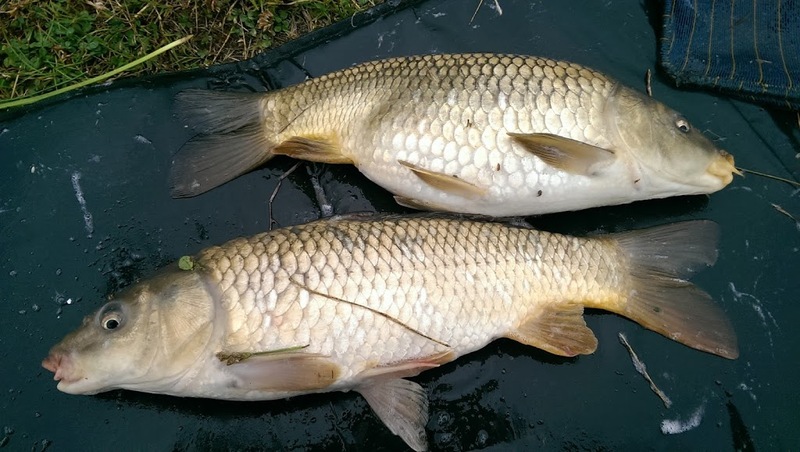 But the nest fish comes from the lower lakes where the bigger Carp and Tench lived! I thought then that I would definitely be revisiting the place simply to try out that lake. After 4 hours fishing I was flipping tired and decided to pull the keepnet out so it would dry. Easier said than done and after 2 net weighs I totalled my day up at 81 1/2 lbs. To be honest I felt quite bad that I hadn’t brought more keepnets, but genuinely didn’t keep a guestimate of the overall weight of fish I was catching in such a short period of time. I began to slowly tidy up but could hear the slurp of hungry carp under my feet. I lowered in my top 3 and managed to snags another 4 or 5 fish from right under my feet. They had moved it to snaffle up any loose or stray pellets that had fallen in from my peg. I called it a day and after returning all the fish to the lake the angler fishing opposite cast exactly where I just returned the fish! It was a bit odd, and had I still been fishing I would have removed his puddle chucker float from the area sharpish, but by this point I was strapping everything back to my trolley and was looking forward to a cuppa at home. I wheeled my gear back towards the car and asked how the match was going on “very slow” was the response. I didn’t want to rub salt in any wounds so said nothing and walked back to the car completing what had been a very exciting and busy day. Higher Farm Higher Lakes are both comfortable lakes with pegs around them, there are however no facilities at the venue and a toilet break is taken behind a bush. That said it is a pleasant fishery and one which is well stocked. I hope to return to the lower lake in the coming weeks to try and improve on what was a truly exceptional day. I would absolutely recommend Higher Farm Lakes to anyone looking for a good days fishing. 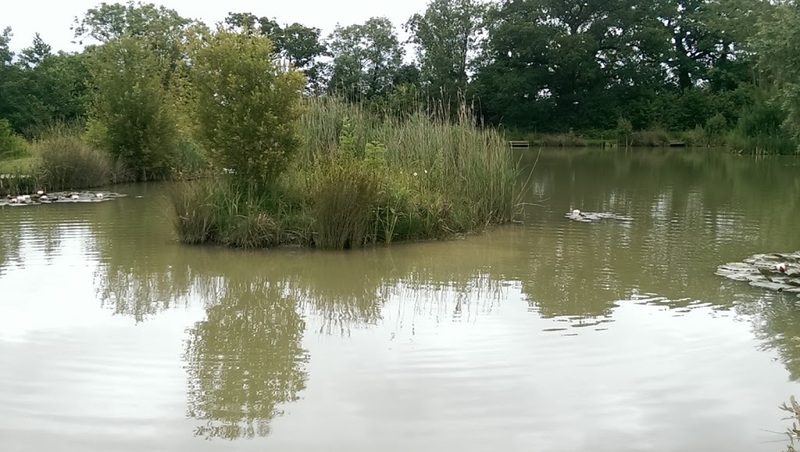 Fishability – ***1/2 – The lakes are well maintained and most pegs have suitable cover to fish close in or far out. The pegs although defined were quite slippery and flush with the bank. Accessability – *** – After a wrong turn I finally found the field I had to drive down to find the lakes. Make sure you drive slow and pay attention. Disabled Access – 1/2* – Although there is a path up to the first lake it was muddy, undefined and very slippery. Especially when pulling your gear up the slope to the second lake.